packing and unpacking full moving service at jv movers we Avoid mixing items from different rooms in the same box. full moving service Pack heavy items in small boxes and lighter items in larger boxes. Remember the heavier the item, the smaller the box. full moving service Pack important documents separately from other belongings. jv movers full moving service Start packing items you will not need ahead of time. Remove light bulbs before packing your lamps. full moving service. With JV MOVERS LLC, 100% professional moving company you can choose if you want to handle all the packing yourself, or if you prefer that our professional movers take care of everything for you. No matter what option you choose, we’ll take care of the loading, transportation, unloading, and placing your belongings in the right place in your new location. Our team members are trained and experienced movers who are committed to making your move stress-free. We don’t hire subcontractors, so you can rest easy knowing that our employees are passionate about completing your move with skill and attention to details. 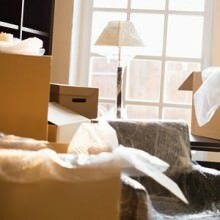 packing can be one of the most stressful aspects of planning for a move. That’s why JV MOVERS LLC offers packing and unpacking services. The professional packers at JV MOVERS LLC know how to quickly get your things packed up and ready to move quicker than you can imagine. We offer packing services that can be customized to meet the needs of any move – whether you are moving a large estate or small apartment.Depending on the size of your home or office, we can usually have everything packed up and ready to load in a couple days. We take extra caution with your belongings to properly secure and label all fragile items so they arrive safely and in one piece. We pack similar items together, keeping in mind how they will likely be unpacked and organized at the new place. Best of all, we have a streamlined system in place so that every box is clearly labeled and items are easy to find.We have all of the packing supplies you need for sale.Boxes of all different shapes and sizes – if we don’t have it, we can get it!